The students from Mrs. Ewell's Entrepreneurship class were mentored by global leaders in business, technology, and innovation. Students were asked to think like social entrepreneurs and come up with an innovative way to help make a difference in their school communities. 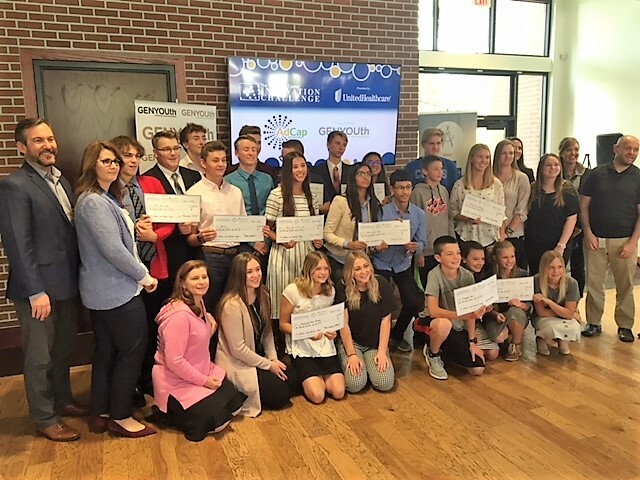 Congratulations to Tanner Pope,and Tanner Peterson who won a $1000 grant each from the AdventureCapital SLC Innovation Challenge for their schools! Tanner Pope's innovative design is named Active Minutes. He intends to use his grant to promote health and exercise through a participating challenge at school. We are excited to see his project design come to life at the ALC! WE ARE SO PROUD OF OUR STUDENTS HERE AT THE ALC!! WAY TO GO!! HUGE SHOUT OUT TO MRS. EWELL FOR GIVING THE STUDENTS OPPORTUNITIES LIKE THIS!